A wide range of award-winning artists and performances highlight the 2015-16 Signature Series sponsored by Samford University’s School of the Arts and Leslie S. Wright Fine Arts Center. "Heart Behind the Music" brings four nationally renowned country music legends to perform in the intimate setting of Brock Recital Hall on Aug. 27. Starring Jasmine Guy, "Raisin' Cane" on Sept. 18 takes audiences back to the 1920s for a timely visit to one of America's defining cultural moments, the Harlem Renaissance. In addition to her other roles, Guy is one of the stars of the movie “October Baby” that was filmed on the Samford campus and around Birmingham. The world-renowned Vienna Boys Choir will perform Oct. 20. The choir continues to delight music lovers across the globe with their purity of tone, distinctive charm and a diverse, crowd pleasing repertoire that encompasses Austrian folk songs and waltzes, classical masterpieces, beloved pop songs, holiday favorites and medieval chant. “Christmas with Amy Grant” and the Alabama Symphony Orchestra Dec. 4 features the best-selling contemporary Christian artist of all-time. 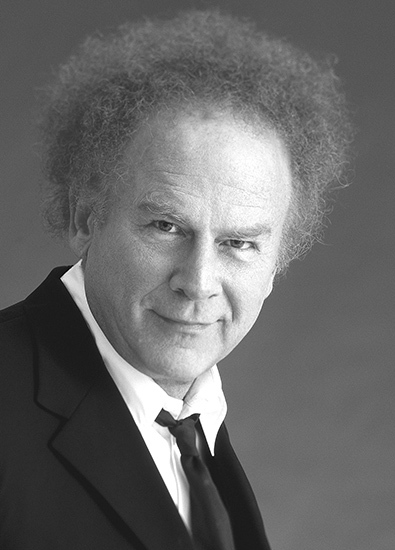 Grammy Award-winning musician Art Garfunkel comes to Samford Jan. 28 in a benefit performance sponsored by Christian artist Gene Cotton to aid the Nicaragua Project. The highly innovative Jessica Lang Dance Company performs Jan. 30 as part of the annual Alabama Dance Festival, followed April 2 by “Celtic Nights: Spirit of Freedom,” celebrating 100 years of Irish independence in Celtic music and dance. The final Signature Series event of the season April 8-9 “takes us back to the glory days” of the 1950s and 1960s, Gannon said, when Hovie Lister and the Statesmen Quartet, the "perfect" quartet, thrilled audiences across the country with their sophisticated and heartfelt performances of the greatest gospel music. "Don't be surprised to see a few veterans of the Statesmen in attendance and to hear a few stories from the good old days about Jake, Doy, Hovie, Rosie and Big Chief," Gannon added. Information on all events held at the Wright Center can be found online at https://tickets.samford.edu or by calling the Samford Arts Box Office at (205) 726-2853. Season subscriptions and single tickets are on sale now. The Signature Series is made possible through the support of Taziki’s Mediterranean Café, Weld for Birmingham and Yelp! Birmingham. Samford University is a partner of Create Birmingham.